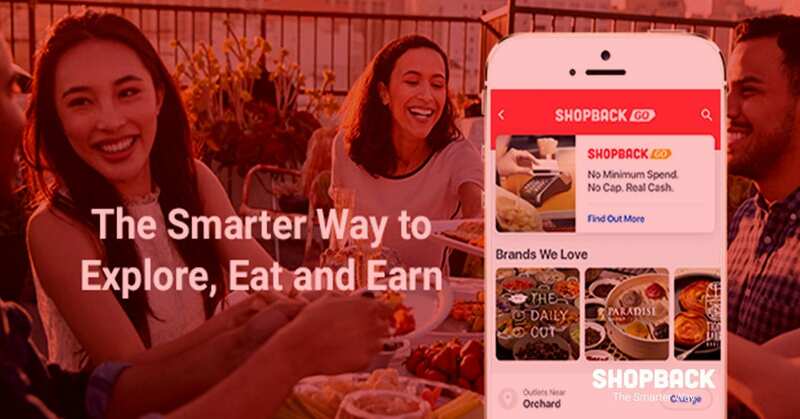 Attention All Foodies: ShopBack GO Is Here! 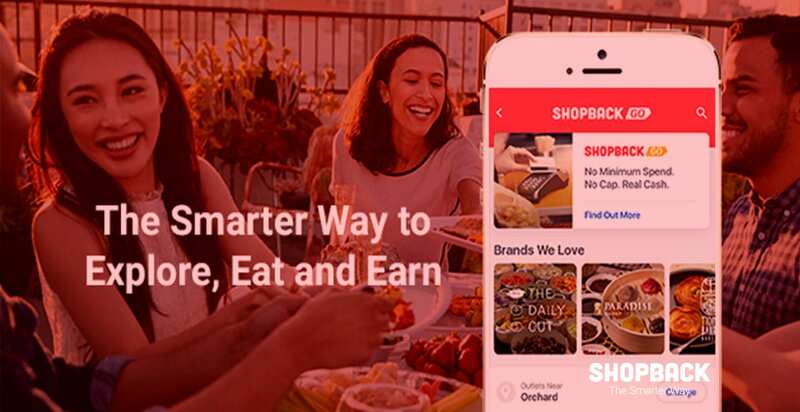 Home > Things to do in Singapore > Attention All Foodies: ShopBack GO Is Here! 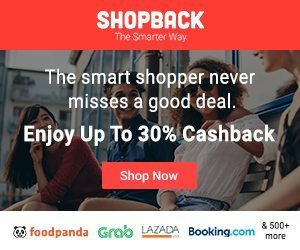 The savviest of us have been using ShopBack for a while now to save big on favourite merchants, discover new stores, and even get Cashback on our online purchases. 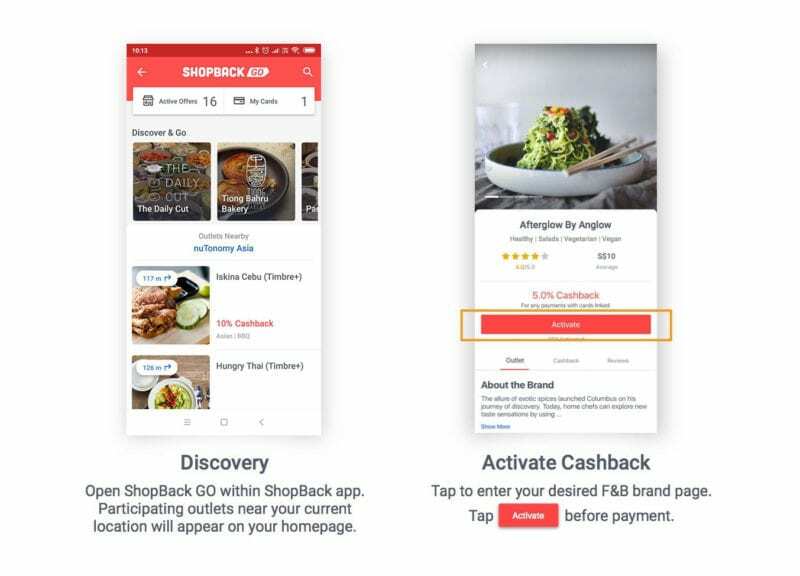 But what if we told you that you can NOW enjoy the same seamless process on offline purchases with ShopBack GO (Now officially launched!)? Oh yeah. And it’s a really simple process that doesn’t require you to top up an e-wallet, pay with a QR code, or fumble about to redeem a voucher. Just link your card once, activate the Cashback offer in the app, pay in-store with the same card. And… Boom. If you’re already convinced, download or open the ShopBack app now and start exploring! And if you’d like to find out a little more about why and how to use ShopBack GO, read on to find out. Oh, and if you’d like to be the first to find out about awesome stuff like this, follow us on our Telegram channel! So… How Does ShopBack GO Work? Both you AND the counter staff can’t figure out whether you need to pay with a QR code, a thumbprint, a retina scan, a blood sample, or etc. 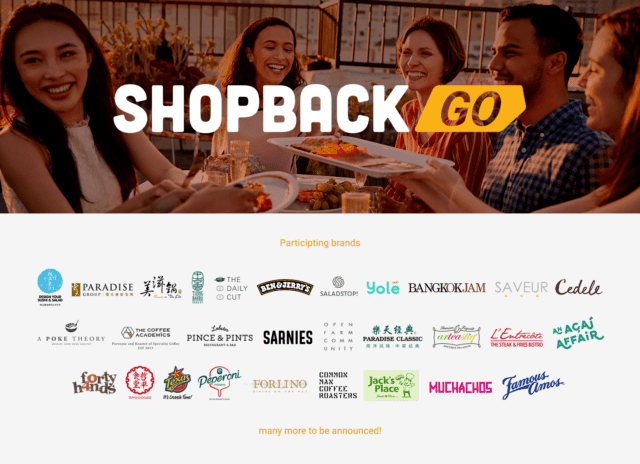 Well… We’re proud to announce that ShopBack GO is ShopBack’s new feature that allows you to earn Cashback in-stores at over 400 food and beverage outlets like Beauty In The Pot, Paradise Dynasty, Tiong Bahru Bakery, Yolé, and more! Don’t see your favourite cafe or restaurant? Fret not, as we’ve got hundreds more and plenty more coming onboard with us! 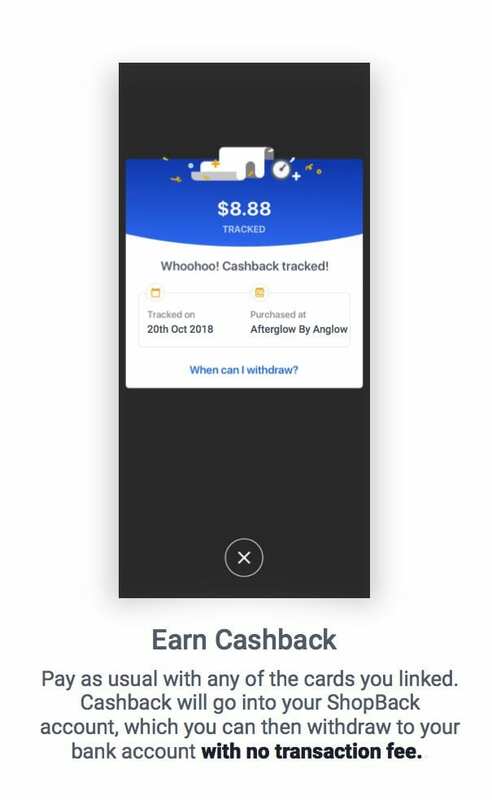 Apart from linking your card in the ShopBack app and activating the cashback offer you want, you simply pay as you normally would by swiping or tapping your Visa or Mastercard credit or debit card. Yes, this could be your experience when you dine out with ShopBack GO. Cheesy dance moves HIGHLY optional. Best of all, you can even stack your Cashback on top of in-store promotions AND card benefits! 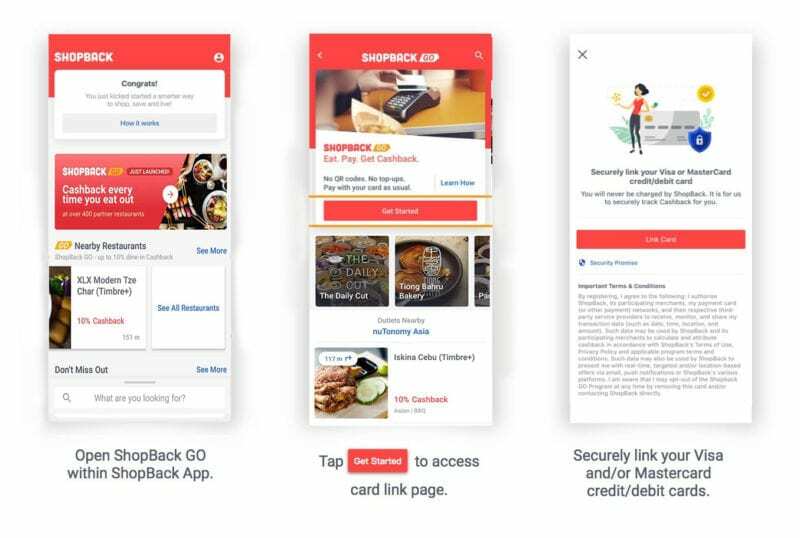 Download the ShopBack app and link any Singapore-issued Visa or Mastercard credit or debit card. You can link as many cards as you want and remove them anytime you want as well. And if you’re concerned about the security of the information given to us, rest assured that we do not store any of your card details. We’re also not charging anything to your credit or debit card. We just need the information in order to work with Visa and Mastercard to securely track Cashback for you! Wherever you are, just open ShopBack GO within the ShopBack app to find participating outlets near you. Tap “Activate” to activate a Cashback offer for any outlet you like (or as many as you like, in fact) before you pay in-store. Take note that each activated offer will expire after 30 days. But if you make a transaction before it expires, the Cashback offer will be auto-extended. And don’t worry, as long as the Cashback offer is available, you can easily re-activate it over and over again. Once you’ve had your meal, simply pay as usual. Yep. It’s that simple. No QR codes, no e-wallets, no need to show the staff anything. 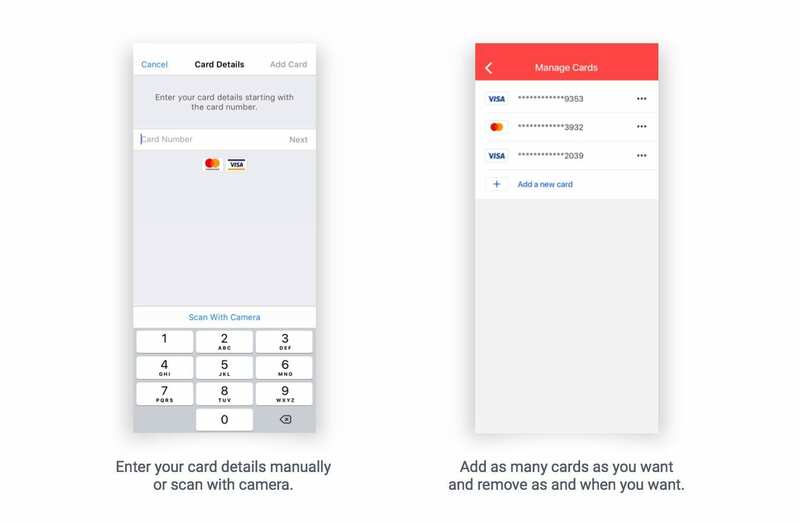 Just insert, swipe, or tap the same card you linked to pay directly in-store. Or if you’ve also linked your card to Apple Pay, Google Pay, or Samsung Pay, simply use your smartphone or smartwatch to make your payment. You don’t even have to open the ShopBack GO app to do anything. 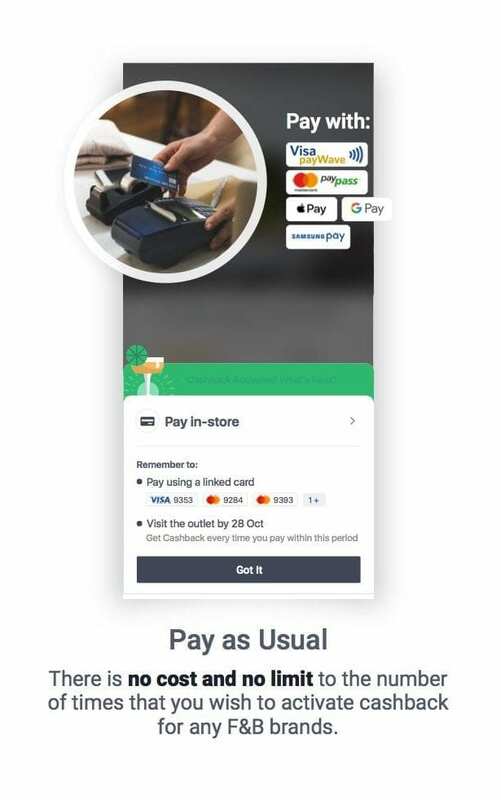 Unless you want to check if your Cashback offer is still activated. And you don’t even have to show or let the staff know that you’re getting Cashback for that meal you’re paying for! 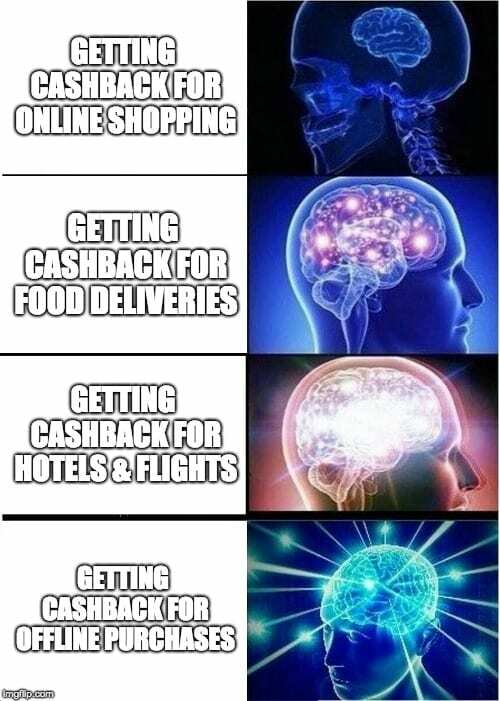 Pro tip: That’s even more reason to offer to pay first when you’re out with friends (Writer’s note: they won’t even know that you’re getting Cashback). Plus you won’t seem cheap in front of your date even if you’re scoring a sweet cashback on the meal which you paid for! If you play your cards right, you just might be able to walk away with a free meal. 1. First Try Bonus: get double Cashback for any first purchase at these 19 brands: Cedele Bakery Cafe. Cedele Bakery Kitchen, Cedele All-Day Dining, Greater Lot by Cedele, Common Man Stan, Toss & Turn, Workspace Espresso Bar, Saladstop!, The Daily Cut, Sarnies, Souperstar, Teppei Syokudo, Koji Sushi Bar, Maki-san, One Man Coffee, Rookery, Texas Chicken, The Coffee Academics, Tiong Bahru Bakery. 2. Christmas Special: $5 bonus on your first ShopBack GO transaction until 31 December 2018.